Hacking. Mapping. Doing my part. I'm a data nerd! I started out studying insurance mathematics and economics but became enthralled to the dynamic world of big data, statistics, and machine learning. I have solid experience in R, Python/Pandas, GIS, and many flavors of databases. I enjoy coding and building systems from backend scripting to web development. My design and coding philosophy is to find the simplest solution and be Agile in implementation. I'm usually doing too much. In my spare time I'm Co-Captain of Code for San Jose, a space for the civic tech community to meet and innovate. I'm also passionate about OpenStreetMap. 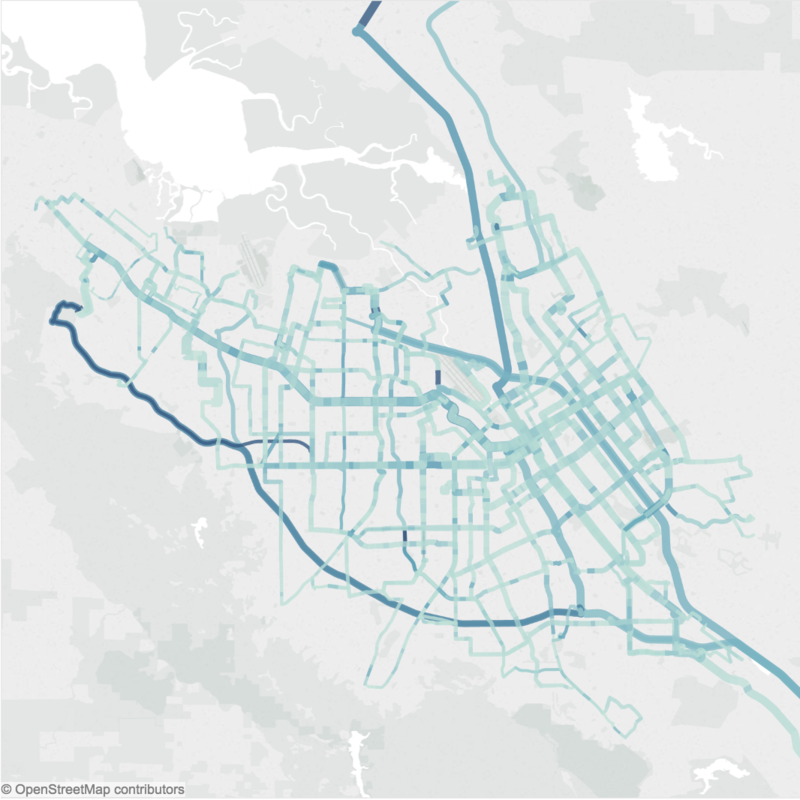 Took many different sources of data including Swiftly, Ridership, GTFS, and combined into one geojson, then created dashboards to help with stop consolidation and speed analysis. 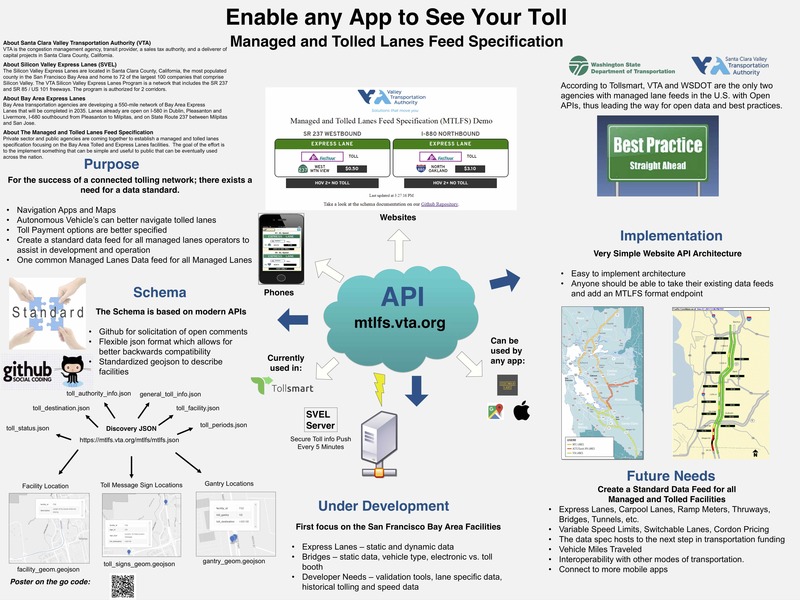 Our team created one of the first open APIs and data standards for managed lanes. We based the API around the GBFS. 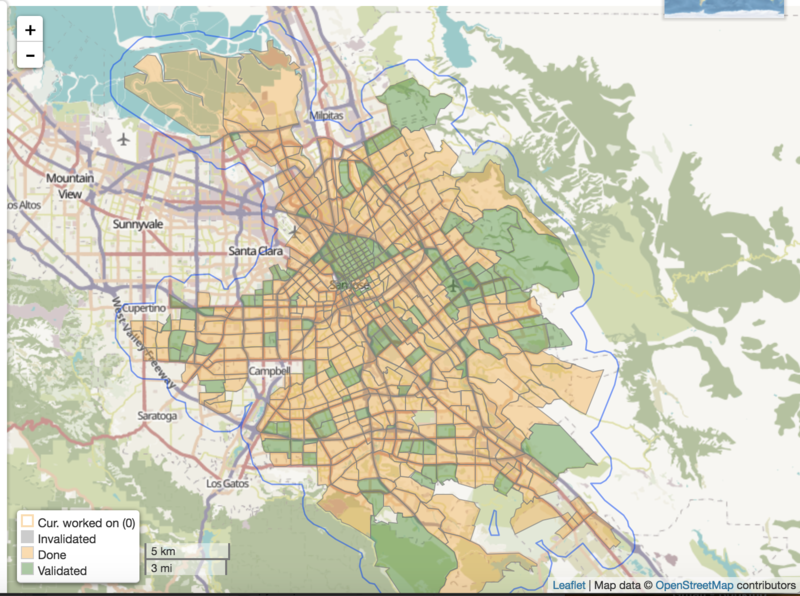 Led a project to import sidewalks and crossings across all of San Jose into Openstreetmap. The goal is to create a pedestrian network to aid those with disabilities and enable advanced pedestrian routing and analysis.